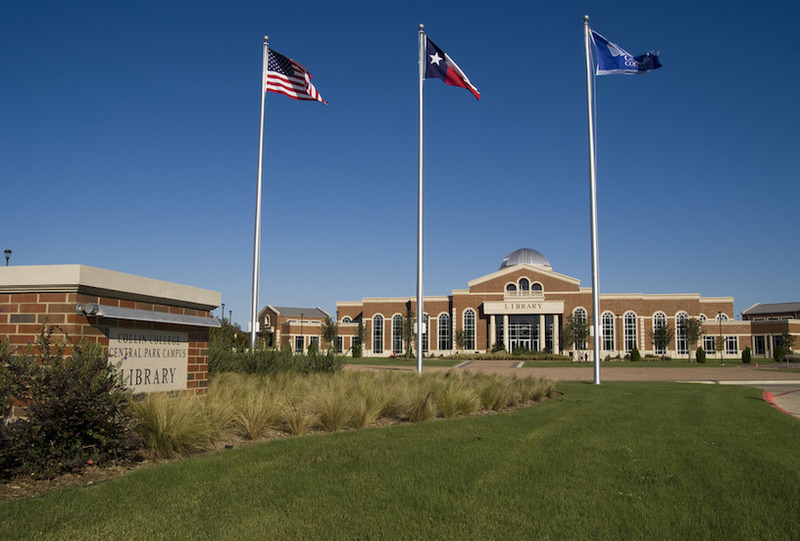 Collin College (formerly known as Collin County Community College) is one of the most frequently searched colleges in America, according to a recent internet keyword search of United States colleges and universities. Collin is a public community college in the state of Texas. The school primarily serves the areas of Collin and Rockwall counties, as well as parts of Denton county. These counties are located roughly 25 miles northeast of Dallas. Collin was established in 1985, and currently maintains an enrollment of more than 53,000 undergraduate students every year, in both credit and non credit courses. Collin is accredited by the Commission on Colleges of the Southern Association of Colleges and Schools. Here are the answers to some of the most frequently asked questions about Collin College. 1. Where is Collin College? 2. What types of degrees are offered at Collin College? Collin awards Associate of Arts degrees, Associate of Science degrees, and Associate of Applied Science degrees, as well as quite a few skilled trade and technical certificates. 3. What courses and programs are offered at Collin College? 4. Who should attend Collin College? Collin is an excellent choice for Texas residents of any age who want to save money on their college educations, especially those who live in the Dallas metropolitan area. Collin also features numerous skilled trade certificate programs for people who want to join the workforce immediately after graduation. 5. Why attend Collin College? Collin has an open admissions policy. Collin is cheaper than local universities. Collin has a great number of academic and professional programs to choose from. Collin allows easy transfer to four year state universities in Texas. Collin is easily accessible to Dallas, America's 9th largest city. 6. How much does it cost to enroll at Collin College? According to the Collin website, the cost of tuition and fees to enroll here depends on which programs you choose. For example, the tuition for the Commercial Truck Driving course is $1,150, while the tuition for a Physical Therapy Aide is about $1,300, and Medical Assistant training costs about $2,000. Financial aid may be available in the form of scholarships, grants, loans, and work study programs, to help students pay for their educations at Collin. 7. How long does it take to earn a degree from Collin College? For a full time student at Collin, it should take about two years to earn an Associate's degree. However, approximately three out of four students enrolled at Collin attend the school part time. For these students, the process of earning a degree will take longer. 8. What are the Collin College campuses like? The Central Park campus in McKinney features, among other things, a library, classrooms, offices, and a multi-story parking garage. This campus is home to Collin's Health Sciences Center. 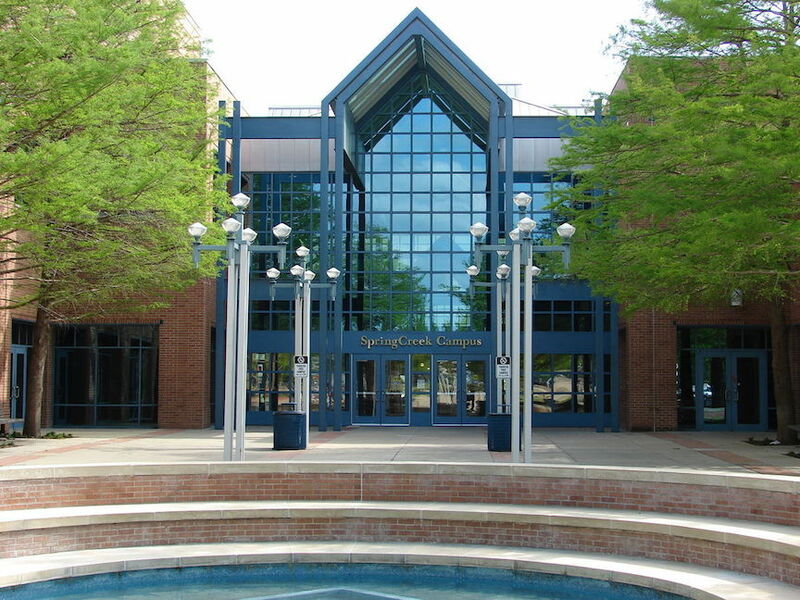 The Spring Creek campus in Plano offers general classes, as well as the school's fine arts and athletic programs. This campus is home to a 30,000 square foot art gallery, and an 88,000 square foot library of Jeffersonian architectural design. Also on this campus are a theater, a gymnasium, and tennis facilities. The Preston Ridge campus in Frisco is home to Collin's business, high tech and culinary programs. Other campus attractions include a library and a bookstore. There is no on-campus student housing available at Collin, but affordable apartment communities are not too far away. The athletic teams at Collin are called the Cougars. They play for the North Texas Junior College Athletic Conference of the National Junior College Athletic Association (NJCAA). Intercollegiate sports for men and women at Collin include basketball and tennis. 9. What is the Collin College campus neighborhood like? Just south and west of the McKinney campus are numerous conveniences and many various places to eat. 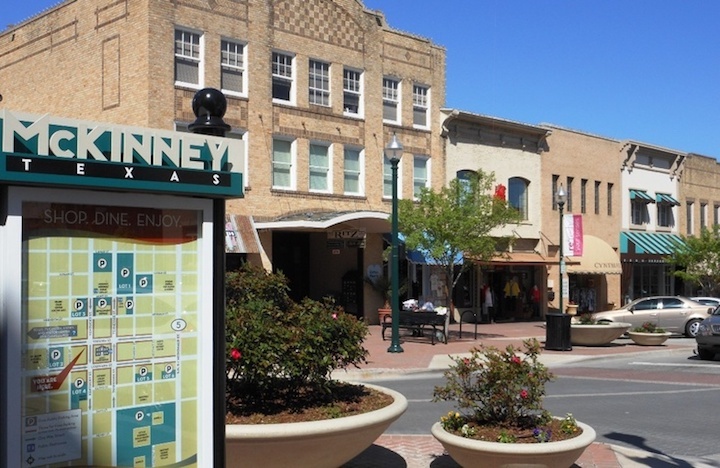 The campus is situated just about two miles north of downtown McKinney. The Oak Point Park and Nature Preserve is located just north and west of Collin's Spring Creek (Plano) campus. Park attractions include an Amphitheater, the Plano Hot Air Balloon Festival, and the Go Ape Zip Line and Treetop Adventure park. Conveniences such as Walmart, Costco, Best Buy, and various food markets are situated just about one mile east of the Spring Creek campus. 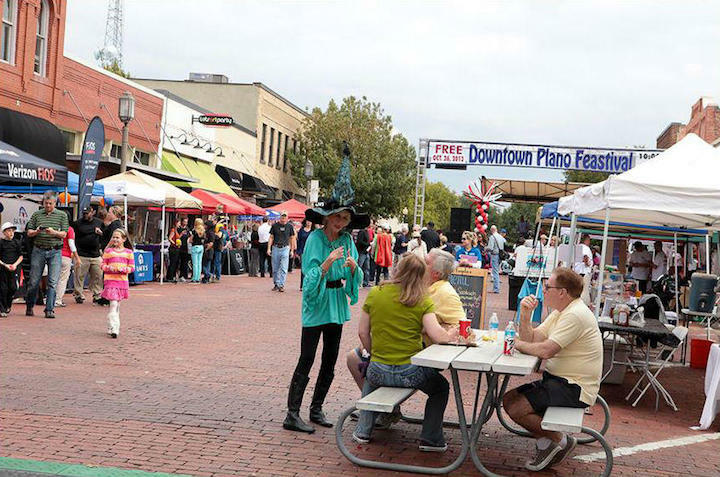 Downtown Plano is located about four miles southwest of campus. 10. What are the distance learning options at Collin College? Collin has many online courses available. 11. What is the contact information for Collin College? You can reach the Spring Creek campus of Collin by calling 972-881-5790. To reach the Central Park campus in McKinney, call 972-548-6790. To speak with someone at the Preston Ridge campus, call 972-377-1760.